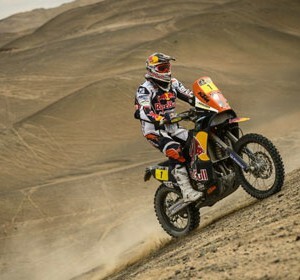 Africa Race: Finally at Lac Rose! 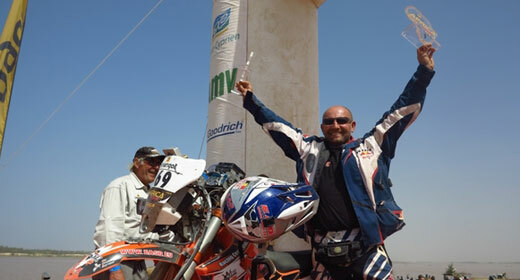 On Wednesday 9th January 2013 the Sonangol Africa Eco Race caravan arrived at the end of it’s journey through Morocco, Mauritania and Senegal. It once again arrived at the mythical Lac Rose where the podiums and closing ceremony took place. 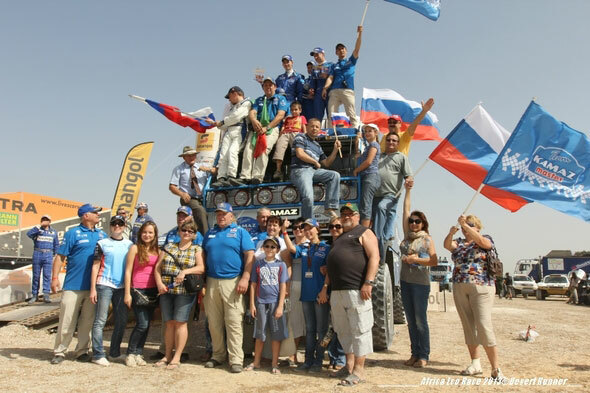 A demonstration of joy and emotion awaited the partners and friends of the competitors. 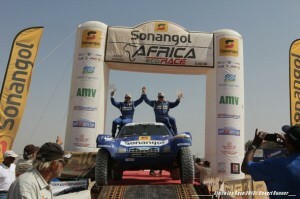 Also present were the SONANGOL representatives, official sponsor of the rally, the directors of the Senegalese Motor-sport Federation and a large number of supporters who had made the trip to Dakar especially for the occasion. The first bikes arrived at 13.00 at the edge of Lac Rose, ending a journey of 5825 km of which 3500 km were Special stages. 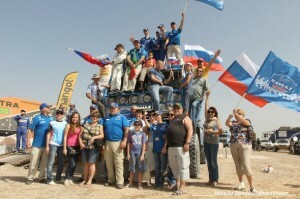 Under the much appreciated and benevolent watch of Sonangol Africa Eco Race director René METGE, the winners were welcomed back; Belgian Martin FONTYN in the bike class, Frenchmen Jean Louis SCHLESSER and Cyril ESQUIROL in the car class and the Russians Anton SHIBALOV, Evgeny YAKOVLEV and Dmitry SOTNIKOV in the truck category. The winners of the different classes and all of the finishers of this 5th edition came up one after the other onto the podium. The ceremony lasted three hours and each participant was able to express themselves; giving thanks to their partners, mentioning the excellent ambiance of the race, telling stories about their adventures and acknowledging the good organisation. 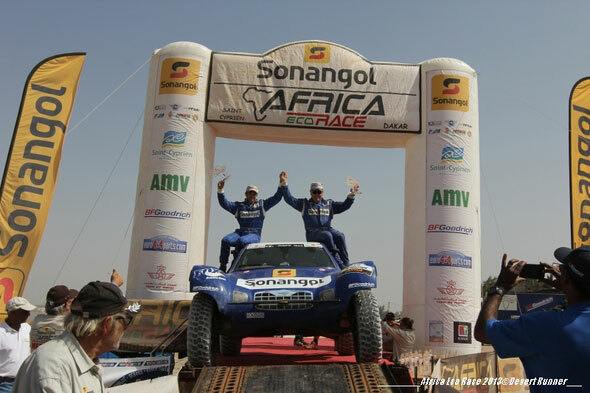 By passing underneath the finish arch of the Sonangol Africa Eco Race, they have immortalized themselves in history and immersed themselves into the magic of a real African rally.